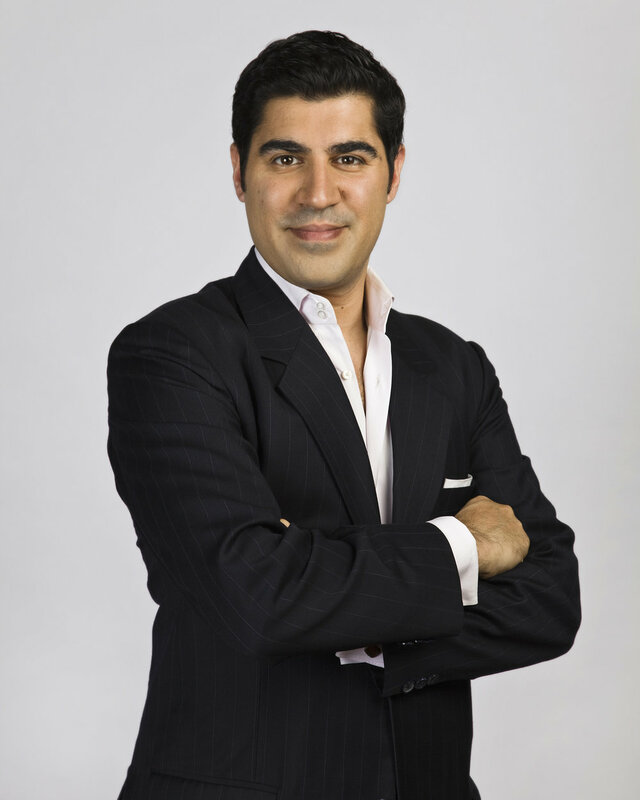 Parag Khanna is a leading global strategy advisor, world traveler, and best-selling author. He is Founder & Managing Partner of FutureMap, a data and scenario based strategic advisory firm. Parag's newest book is The Future is Asian: Commerce, Conflict & Culture in the 21st Century (2019). He is author of a trilogy of books on the future of world order beginning with The Second World: Empires and Influence in the New Global Order (2008), followed by How to Run the World: Charting a Course to the Next Renaissance (2011), and concluding with Connectography: Mapping the Future of Global Civilization (2016). He is also author of Technocracy in America: Rise of the Info-State (2017) and co-author of Hybrid Reality: Thriving in the Emerging Human-Technology Civilization (2012). In 2008, Parag was named one of Esquire’s “75 Most Influential People of the 21st Century,” and featured in WIRED magazine’s “Smart List.” He holds a PhD from the London School of Economics, and Bachelors and Masters degrees from the School of Foreign Service at Georgetown University. He has traveled to more than 100 countries and is a Young Global Leader of the World Economic Forum. As much as I was born in India and feel home there, I've never properly lived there. I'm very at home in Dubai (where I spent my early childhood), New York (where I grew up), Germany (where I lived several times from my teenage years and even as a graduate student and later on sabbaticals), London (where I did my PhD at LSE), and now Singapore, the place I've called home for several years. I think of identity as cumulative, not substitutive. Indians call me a global Indian, and I believe that is true. I am also I suppose a 'global citizen'. As you can imagine, it was not easy pursuing a social science path in a more science and business oriented family, but it has worked out very well. THE FUTURE IS ASIAN is my sixth book and all have been successful to varying degrees. I've completed my academic training while also working at high levels of policy as well. Most of all, my family life is happy and I get to pass on the gift of travel to the next generation, with my kids also being very active travelers. 3 What inspires you? There's no question that most of my inspiration comes from travel. I have been to probably 150 countries, and certainly all the ones that I actually want to go to. So now I am more in the process of revisiting places to see how they've evolved since I first visited and wrote about them. I can still remember where I was when I had certain ideas that appear in the pages of my books. 4 What has been biggest obstacle in your career? The biggest obstacle I have faced is the entrenched mindsets that go with the academic, government, media, and intellectual communities in various countries. For better or worse, there is still 'American', 'British', 'Indian', 'Chinese' and other assumptions about how the world works and even world-views that are, quite logically, only partially correct and irreconcilable with others. Not enough people strive to have a holistic world-view. Perhaps that would be the journalist Robert Kaplan, an American author who has been a war correspondent and strategic commentator for nearly 40 years now. His dozens of books have presciently forecast our emerging neo-medieval world. I'm lucky to count him as a mentor. I have total freedom over my professional iife. I decide when and where to travel, what projects to take on, whom to work with, where I want to live, and so forth. I would not trade this freedom for anything! 7 And the worst? In this situation, one has to be 100% motivated all the time. There is a great deal of self-reliance involved and no safety net. 8 What are your long term goals? I like to have at least 2 or 3 major projects ongoing at the same time. One of them is usually a book, but then I am also working with at least 1-2 major clients at a time, and usually advising a government on serious policy issues, and advising a range of students or young professionals. I now want to add a documentary series based on my travels along the new Silk Roads to the mix. I strongly believe there should be mandatory universal voting for all citizens age 16 and above. This would be the most simple and effective step to promote a democratic culture of political and social awareness and civic ethics. There is much else we must do to cultivate a citizenry capable of making informed choices, but this is the simplest place to start. At the moment I'm inclined to say Jean Monnet, whom I've written about as one of the first great diplomatic entrepreneurs, someone who operated both personally and professionally as a multi-state diplomat during a very turbulent set of decades in mid-20th century Europe. It's very important, especially today, that more people learn from his story and experiences.